Renew tired and dull hair with organic clarifying shampoo from Avalon Organics, enriched with vitamin E, wheat protein, aloe, chamomile and lemon to remove dirt and impurities without stripping the hair. The certified cruelty free shampoo is made with sustainable, natural ingredients and comes in a bottle made with 100% recycled materials. For best results use with Avalon Organics Clarifying Conditioner . The Avalon Organics Clarifying Shampoo - Lemon - 325ml product ethics are indicated below. To learn more about these product ethics and to see related products, follow the links below. I was pleased to find this product as it has disappeared from supermarket shelves. Price was reasonable, postage ok and delivery prompt. I would use this company again. 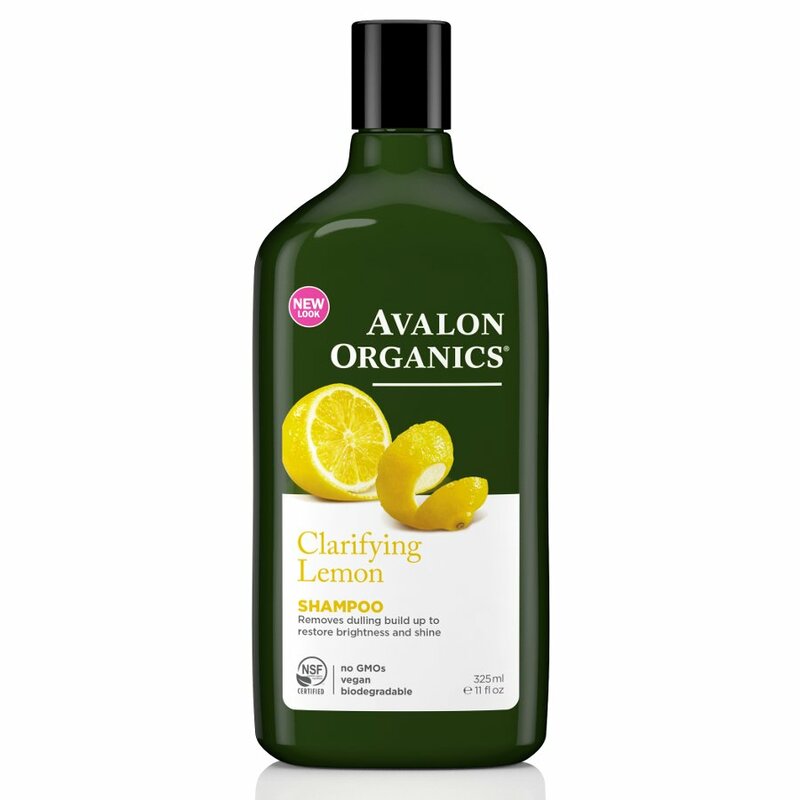 There are currently no questions to display about Avalon Organics Clarifying Shampoo - Lemon - 325ml. Avalon Organics has been creating organic, sustainable skin care since 1994 inspired by the beauty of all things around us. The company is committed to caring for our world, using 100% vegetarian ingredients in all products and rejecting all forms of animal testing at each stage of production. In 2012 the whole brand was reformulated to introduce more organic ingredients in order to meet the standards set by the USDA National Organic Programme and the NSF/ANSI 305 Standard for Personal Care Products Containing Organic Ingredients. The natural formulas are always free from parabens, harsh preservatives, synthetic fragrances, artificial colours, phthalates or harmful sulphates, giving you effective skin care that is good for people and planet.